HANGOVER CURES. Yeah Right. Do those two words even belong in the same sentence?? When you're feeling that crappy it seems nothing can help. Well, truth be told there is no miracle cure.. however there are some things that can ease the pain and have you back to your old self in no time. First thing's first, let’s talk science. Typical hangover symptoms—nausea, sensitivity to light, headache, achy muscles, diarrhoea, and decreased motor skills—are all caused by changes in body chemistry and the toxins in alcohol . The science of hangovers (and how to prevent them) is largely unstudied, which is why people have been inventing their own “cures” for centuries. Though no one meal or drink can cure a hangover, certain foods are better for refuelling than others. Aim to restock the body with necessary fluids and nutrients like fructose, vitamins, amino acids, and minerals that can help break down toxins or lessen the body’s negative reaction to the chemicals in booze. WATER. The elixir of life should be your number-one priority after waking up with a pounding head. Alcohol is a diuretic, which means it pushes liquids out of the body. When nothing’s left in the tank, the body will draw water from any available source, including the brain, (hello, headache...) Drinking some H20 before bed can help prevent some painful hangover symptoms, but grabbing the water bottle in the morning doesn’t hurt either. FRUIT JUICE (Cold-pressed of course!) Pour a glass of apple or cranberry juice to kick start the recovery process. The fructose in sweet fruity drinks gives the body some instant energy, and may even help boost metabolism to get rid of those gnarly alcohol toxins. Juice also contains vitamins and plenty of water to get the body rehydrated. COCONUT WATER & ELECTROLYTES. Coconut Water seems to be the drink-du-jour these days and for good reason! It contains 5 of the electrolytes found in human blood which makes it a killer re-hydrator!! 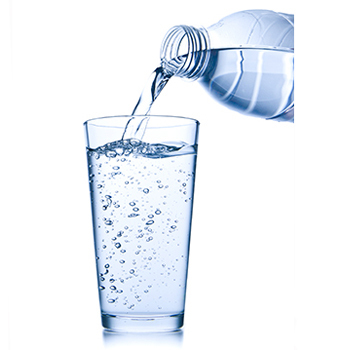 You want to try and replenish liquids and electrolytes that have been lost in the body so downing a Hydralite with water or even grabbing a Gatorade can sometimes ease that hangover. GINGER OR PEPPERMINT TEA. For a soothing brew, look no further than granny’s favourite herbal tea. Studies show that ginger tea can reduce nausea and motion sickness . Peppermint tea (a common morning sickness cure for pregnancy) can also ease stomach pain and decrease nausea . PICKLE JUICE. This hangover remedy is so weird that it must be true! The sour liquid contains vinegar, salt, and water, which can help rehydrate and replenish electrolyte and sodium levels. To make the most of it, sip 60mls before hitting the bars and another 60mls in the morning. BANANAS, KIWI FRUIT & SPINACH. These brightly coloured fruits and veggies are loaded with potassium, an important electrolyte that is often depleted due to alcohol’s diuretic effect. Not feeling a salad first thing in the morning? Add some yogurt and blend these bad boys into a hangover-fighting smoothie. EGGS. This breakfast staple is an 'all-star' for a reason. Eggs are chock full of amino acids like cysteine and taurine. Taurine boosts liver function and can help prevent against liver disease . Cysteine breaks down acetaldehyde, the yucky headache-causing chemical that’s left over when the liver breaks down ethanol. OATS. Take this superfood for a spin when you’re feeling less than stellar in the morning. A hot bowl of oatmeal has plenty of essential nutrients like B vitamins, calcium, magnesium, and iron. Oats can help neutralise acids in the body and raise blood sugar levels, giving you an instant energy boost. TOMATOES. Leave the Bloody Mary, take the tomato juice. Tomatoes contain lycopene, an antioxidant that reduces inflammation in the body . Tomatoes also contain fructose and vitamin C to give the liver a boost. MISO SOUP. Like traditional chicken noodle, miso soup is a great morning remedy — the broth rehydrates and restocks sodium levels while the fermented miso can help aid digestion. FOODS AND DRINKS TO AVOID. GREASY FOOD. Contrary to popular knowledge, heading to the local greasy spoon is not a great hangover cure. A fried feast the morning after can actually irritate a sensitive stomach, so leave the basket of fries for later. HAIR OF THE DOG. Boozing in the morning is not the solution to a hangover. An alcoholic beverage can help take the edge off initially, but it will further dehydrate the body and lead to even worse hangover symptoms later in the day. COFFEE. Zero energy, pounding head… sounds like the right time for a cup of Joe. Nope! Like alcohol, coffee is a diuretic, so that latte will only dehydrate the body even more. To feel better, stick to caffeine-free options like herbal tea, juice, or plain old H20.